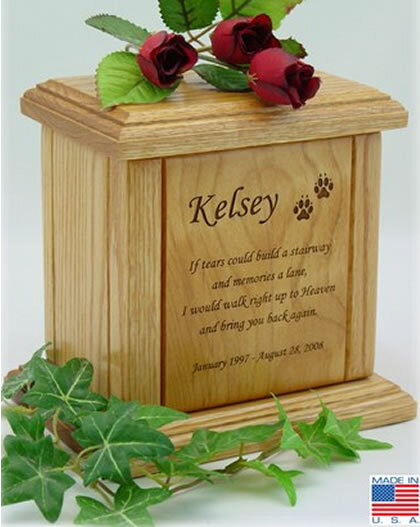 Our Memorial Poem Pet Urns are crafted from select grade solid Red Oak and Red Alder wood and are professionally engraved. 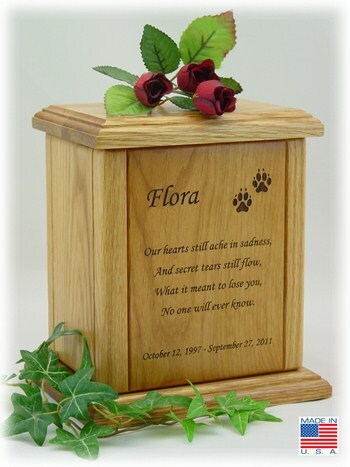 This lovely wood urn can be personalized with your the name and birth and passing dates of your cherished and beloved pet. Optional dog paw prints or cat paw prints can be added. Poem shown is "If Tears Could Build A Stairway" but other poems are available. 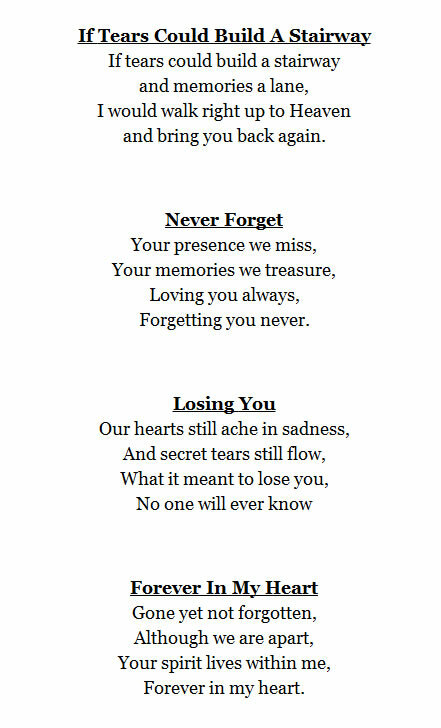 Please click on the gray tab called Detailed Images to view other poems. Four brass screws seal the bottom plate for security, and there are pads on the base of the urn to protect furniture from scratches. Volume: 32 cubic inches - For most pets with healthy body weights less than 20 lbs. Volume: 50 cubic inches - For most pets with healthy body weights less than 30 lbs. Volume: 75 cubic inches - For most pets with healthy body weights less than 55 lbs. Volume: 116 cubic inches - For most pets with healthy body weights less than 80 lbs. Volume: 148 cubic inches - For most pets with healthy body weights less than 110 lbs. *Note: Industry standard in urn sizing is 1 pound of healthy human/pet body weight = 1.25 - 1.5 cubic inches of ash. The amount of cremains vary due to bone density and the cremation process used. This is a quality product created by skilled American craftsmen. Please allow 2-3 business days after proof has been approved to complete your urn. Rush orders are a possibility but still require 1-2 business days to complete.